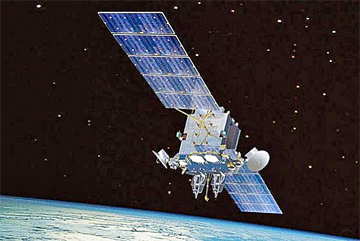 Cambodia hopes to launch the nation's first communications satellite as early as 2021, at an estimated cost of US$150 million, according to a senior official at the Telecom Regulator of Cambodia (TRC). Speaking after a workshop called to gauge market demand, Im Vutha, spokesman for TRC, said this would be a milestone for the local communications industry. The workshop brought together representatives of the Ministry of Post and Telecom (MoPT), the TRC, and heavy weights of the country’s telecommunications, broadcasting and technology sectors to discuss the prospect of launching Cambodia’s first satellite. Royal Group’s subsidiary Royal Blue Skies and Beijing-based China Great Wall Industry Corporation, the companies tasked with conducting the feasibility studies for the satellite project, also attended the workshop, according to Khmer Times. “Of course, the satellite is a very costly project, so we are seeking all the input we can get from relevant stakeholders, so that we may know how much demand there is and how much we should invest,” Mr. Vutha said. “I think it will cost around $150 million to put the satellite into orbit, with the satellite having a lifespan of at least 15 years,” he said. The feasibility study will be ready within a year, with Cambodia developing the capability to launch the device within the following three years, he said. Mr. Vutha added that it will take the country much less time than it took other countries because of Cambodia's partnership with China Great Wall Industry Corporation, a company that already has experience launching a satellite in Laos. The standard is seven years, but the belief is that this development will only take three years. If everything goes well, Cambodia will launch the satellite into space by the year 2021 or 2022,” added Mr Vutha. Last December, Prime Minister Hun Sen asked Royal Group, a local conglomerate, to partner up with foreign companies to make the kingdom’s satellite dream a reality. The prime minister said Cambodia should have its own satellite to make high-speed broadband available to all. “Providing affordable high-speed internet access for Cambodia’s unconnected population is a huge challenge and a big investment, but it can be done,” said the prime minister.